Burning fats and losing weight can be done in as less as 30 minutes a day at your gym in Fayetteville, NC. Just go for full-fledged HIIT sessions. When you go to your state-of-the-art fitness club in Fayetteville, NC, and feel you are short on time but want to make the most of it, the recommended thing to do is a HIIT session. Make sure you do it in the presence of a personal trainer. 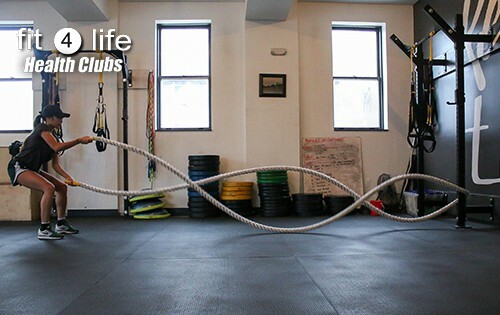 If you feel your gym does not have the amenities for a HIIT session, you might want to become a member of one the best fitness clubs in Fayetteville, Fit4Life Health Clubs that does. The HIIT (High-intensity Interval Training) as its name suggests, is a type of training at intervals of high intensity. If you are one of those who practices sports regularly but do not get the expected results, this type of training is what you need. The greatest feature of HIIT is that you get results in a short time by putting in the maximum amount of effort that you can. According to Men’s Journal, a HIIT session should not last longer than 30 minutes. This is because some of the exercises that are combined are very intense and consuming; therefore, the necessary time is much shorter than during normal training. It combines both high and low-intensity exercises, thus achieving an ideal interval heart rate. If you are not an active person, do not be in a hurry! This is not training for those who are starting from scratch. The HIIT training is aimed at athletes with an established aerobic base. Knowing how your body works and to what limits you can reach: is when you’re really ready to start training with high intensity workouts like this. How Do I Start With HIIT If I Have Never Practiced Sports? Before starting workouts of such intensity, it is very important to prepare your body. Therefore, the best start is to begin with general physical conditioning to achieve both a muscle and cardiovascular base. A HIIT session can raise our heart rate by 90%. So, it is not recommended that people with weight issues or heart conditions practice it. The joints could be damaged resulting in severe injuries. If you are thinking of starting with high-intensity training, remember that you have to go little by little to notice the change and the physical and mental health improvement. Also remember that it is very important to visit a doctor before starting HIIT and have a full-body check, and above all, combine this training with other types of exercises. To perform a good HIIT training routine, it is recommended to do three sessions per week. Fulfilling this routine for several weeks increases the ability to oxidize fats. What does this mean? The body will use the surplus fat of your body as energy, improving the aerobic resistance of the muscles. On the other hand, HIIT training activates the creation of mitochondria, that is, it improves the use of glucose when using it as energy. It also slows aging, because it stimulates the growth hormone to those who practices it. One of the greatest advantages of HIIT is that it helps you lose weight, but not muscle. That is, it stimulates the secretion of testosterone that strengthens muscle mass. And by adding a proper diet plan, the muscle keeps the fiber. Likewise, the loss of fat with this type of training is much more effective than doing a normal workout. It accelerates the metabolism and burns more calories, and it improves cardiovascular capacity. Say goodbye to fatigue and achieve greater intensity for your workouts! Finally, remember that HIIT training is the best solution if you have a lot of stored energy but not much time, since it does not require long duration exercises, but fast and intense 30-minute intervals.